Cathy Winstead-Severin is one of the most successful smallbore shooters in the U.S. of all-time. She has been around for 20 years, winning titles right and left, but the year 2017 was definitely her year, as she has racked up win after win all season long. In spring, she won the Conard Bernhardt Cup in Pe Ell, WA and the Iron Man Rifle Silhouette in Missoula, MT. After that, she dominated the Nationals in the US, taking the title in four NRA National Silhouette Rifle Championships: Smallbore Standard and Hunting Rifle, matching the two at the Silhouette High Power Rifle Championships. And after that, it was time to excel in Canada at the Canadian NFA National Smallbore Silhouette Championship, which she won. “I did train more than I had the last couple years. We also had some new equipment, which helped! I also planned out the weeks before Nationals better this year, so it wasn’t so stressful and busy right before, which was an issue last year. And Lapua shoots great! I think everything from rifles working, me feeling well and the extra work, it all just lined up to an amazing season. It is still surreal,” Cathy commented after the season. 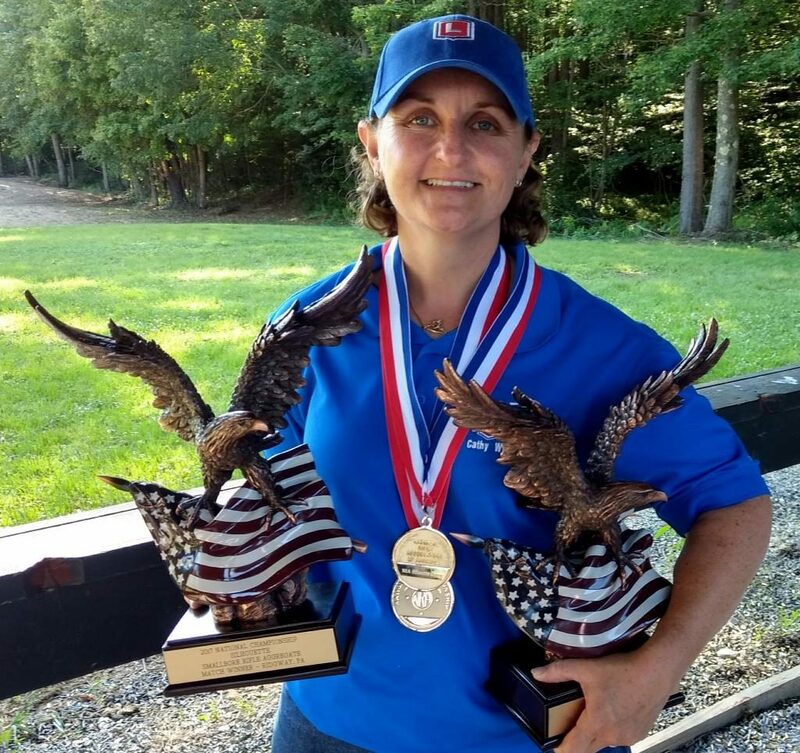 In 2018, Cathy took second place at the National Smallbore Championship. She also took the National High Power Rifle Silhouette 2-Gun Championship and the National High Power Hunting Rifle Championship.